HomeDrone newsWhen the word Nokia catches your eye, the first thing to cross your mind is mobile phones. When the word Nokia catches your eye, the first thing to cross your mind is mobile phones. However, the gigantic Finland-based corporations does not limit the expanse of its corporate activity to this sphere. Recently, Nokia has penetrated the UAV field. Last November, the tech company and the UAEreached an agreement and concluded a contract on a project designed to maintain control over the drone traffic present in the UAE airspace. On behalf of the Arab country, the agreement was inked by representatives of the GCAA – a state body exercising control over the national civil aviation. Nokia’s upcoming system is unprecedented for the UAE, as stated by the local government. 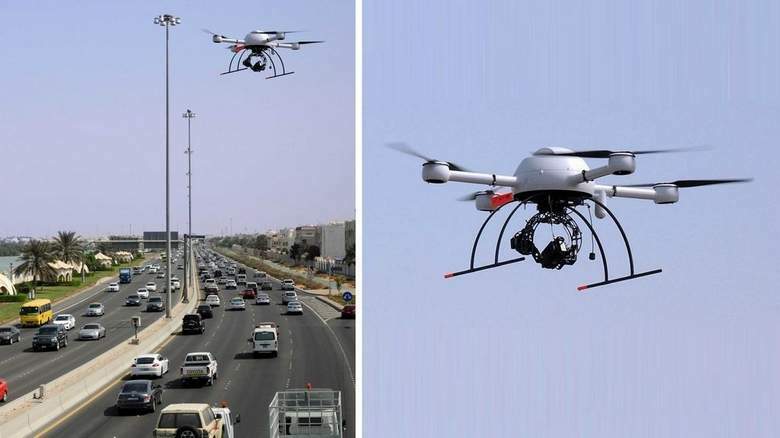 It will assist the responsible agencies and officials in management of permission issuance for UAV flights, regulation of the city zones where flights are prohibited, and appropriate performance of any safety operations that are carried out beyond the immediate line of distance. The project’s essential concept is to enable the Emirates to keep an intent eye on any drones performing flights within the country’s airspace, as well as to manage such UAV flights. 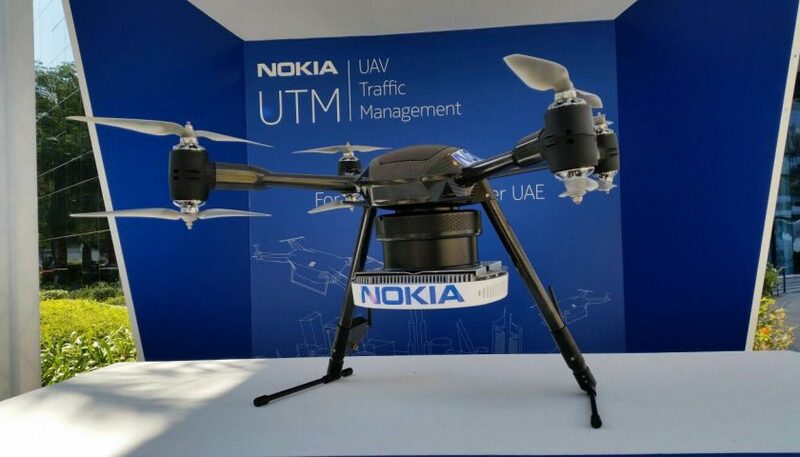 As stated by representatives of Nokia in a press release, the system’s name is “UAV Traffic Management” (shortened as “UTM”). Through utilization of LTE protocols, it ensure very low time lag, along with unparalleled fail-safety and reliability. The functions of the UTM system involve monitoring the UAE airspace and UAV flight lines, submitting the obtained data to drone users and employees of the agencies overseeing air traffic. 1. The combination of LTE and a MEC platform. 2. UAVs fitted with GPS units, access modules and LTE sets. 3. Components responsible for computing and processing of the data acquired in airspace monitoring. Besides controlling the paths of drone movement and conveying the relevant telemetry data, they can outline no-fly zones and adjust their borders dynamically. 4. A mobile application featuring the UTM interface; it’s designed and intended for the pilots of drones. 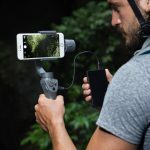 Implementing their commitment to metamorphosing Dubai into an impressively smart city (possibly, the world’s smartest), the UAE assign a major role to UAVs, viewing them as a convenient tool for provision of very many smart services. According to B. Najm, who lead-manages the Nokia department for the Middle East (including the UAE) markets, the European tech giant views their partnership with the UAE GCAA as an opportunity to perform a thorough field trial of their UTM system so as to refine and perfect it. As explained by the UAE officials, development of the network of drone traffic is a constituent of Dubai’s program to form a new-gen smart city network of services as consistent with the regulatory environment established by the GCAA. Noteworthy, the UAE project isn‘t the first and only one in Nokia’s UAV portfolio. Recently, a facility for testing drones was established in the Netherlands (Twente Airport) with the company’s immediate assistance. As circulated by the media, Nokia’s official statement quotes Vice-President T. Robrecht as saying that the effective accomplishment of the task of securing safety stipulates the presence and involvement of both intelligent UAVs and a smart system for management of the traffic they create. In his statement, Robrechtplaces a distinctive emphasis on the following fact: as of today, Nokia is the only telecommunication company engaged in the drone traffic management field. For the Finnish party, the partnership with the UAEgovernment subdivision overseeing civil aviation is a striking opportunity to test the newly-developed system for drone traffic control and management in an appropriate environment. The Emirates offer all the facilities necessary for field trials of the system and its perfection, as well as experts and knowledge partners up and ready to share their developments.